This was a wholly original read. I can't recall ever reading a sci-fi translation before, but I also at times wished that the heavy scientific/physics proofs themselves were translated a step further into laymans term - as much of the already dumbed down science went over my head, despite it being clearly realistic and researched. So while I feel outside of the science/space/video game/technical-enthusiast audience for this book, it was still an extremely engaging epic of enlightened storytelling. There's the authoritarian-enforced anti-intellectual thought-police dystopia background, The Arrival/Contact-like set up of listening for life outside this world, an undercover police informant trying to solve a puzzle that's consumed himself, and a subplot of a massive multiplayer (WoW-like) video game sandbox, that all comes together like a Wind-Up Bird Chronicle translation meets Cloud Atlas chronological complexity mixed with Seveneves sci-fi otherworldlyness. Basically, pretty epic. But at times, very much not for me. If the above sounds like it's for you, this triology would very much be for you. 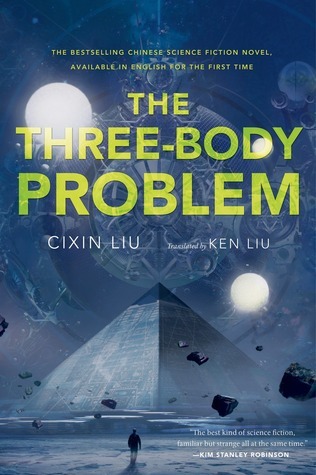 Sign into Goodreads to see if any of your friends have read The Three-Body Problem.